Easily accessed via County Road 186 and Bob White Road, a short drive from Interstate 55. 77% of the cultivated acres are irrigated by two center pivot irrigation systems. Additional acres could be irrigated, approximately 10% of the acres, with the addition of one well that could utilize existing underground pipes. Please note the Agriculture Act of 2014 will allow for the reallocation of the base acres. The information below is the current acre allocation per FSA. FSA Farm #3139, Crittenden County, Arkansas. The farm is currently operated by the owner of the farm. Farm can be sold unencumbered by lease or the owner will consider a sales / leaseback. 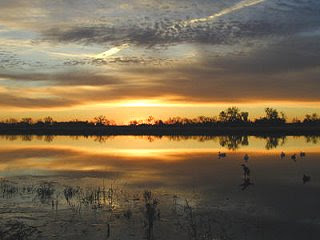 Currently, the hunting rights are leased for this duck season. Total property taxes are $2,029.31 annually. Electricity is nearby the property to establish a lodge site. The Bob White Road Farm is offered for sale at $1,584,000 or $4,800 per acre. For additional information regarding to this property or to schedule a showing, please contact Franklin Fogleman by calling 901-674-2840.